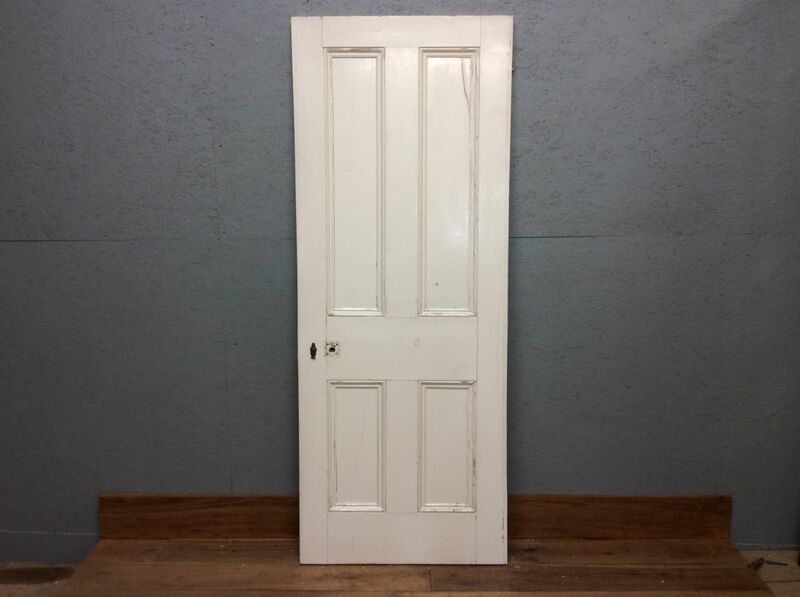 Here we have a white 4 panelled door in 2 over 2 formation. 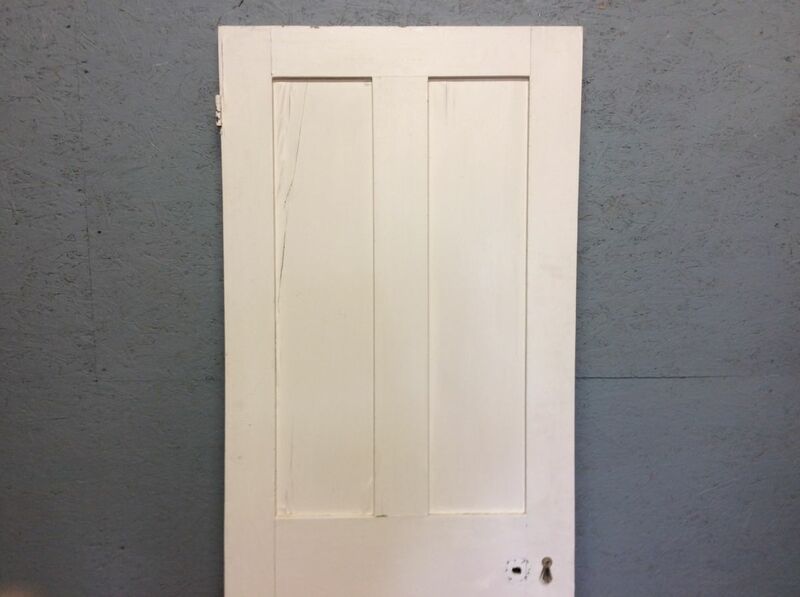 It has a small crack in one of the panels but is otherwise in good condition. All hooks and handles have been removed for convenience purposes.